limit the time in the sun, especially from 10 a.m. - 2 p.m. 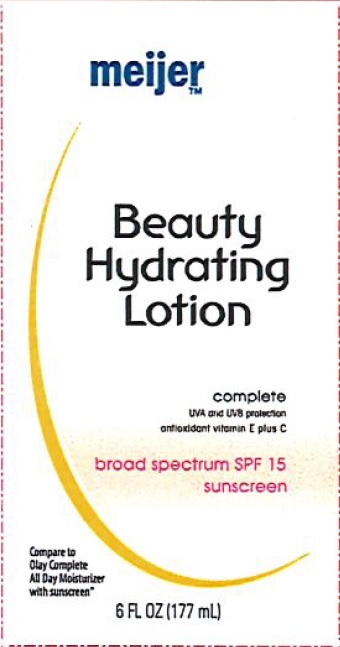 When used as directed, Beauty Hydrating Lotion helps provide your skin with broad spectrum protection against prematue skin damage from both UVA and UVB rays to help your skin stay younger looking. ALL DAY MOISTURE - Formulated with antioxidant Vitamin E plus C and nourishihg beauty moisture that absorbs quickly into skin and lasts all day to help your skin stay soft, smooth and beautiful.